We can help minimise your worries. Our proactive approach to keeping your accounts up to date at all times means we can file your accounts within a reasonable timescale to prevent you from receiving penalties. We can prepare your accounts to help with VAT and the completion of self-assessment tax returns. We will produce your financial statements and make sure we work to agreed timescales and deadlines but we can do more than just report on the history of what’s already happened. • Identify areas where we can assist in minimising your tax liability. • Identify areas of the business that give you the most opportunity to make improvements. • Use the accounts to help you measure where you are in meeting your goals and what actions you need to take. Compliance with VAT is complex so it is important that your VAT returns are completed correctly. • Let us do your book-keeping and we complete the return from there. • Give us your books and we’ll complete the return for you. We will complete your VAT return in good time to ensure you don’t receive penalties from HMRC. 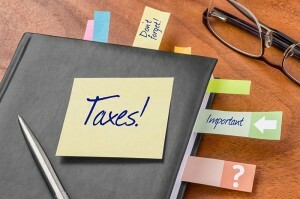 • Advice on your tax liabilities. • Identifying suitable tax planning opportunities. • Dealing with all correspondence from HMRC, taking the worry away from you.